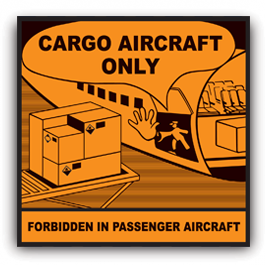 Cargo Aircraft Only Label (CAO Label - IATA) Buy Securely Online! The Cargo Aircraft Only label (CAO label) is required for all consignments containing dangerous goods that are shipped by cargo aircraft. These bright orange labels warn airline shipping personnel NOT to load dangerous cargo onto PASSENGER aircraft due to the threat that it may pose to the safety of the aircraft and its passengers. The label must be rectangular and a minimum of 120x110mm. 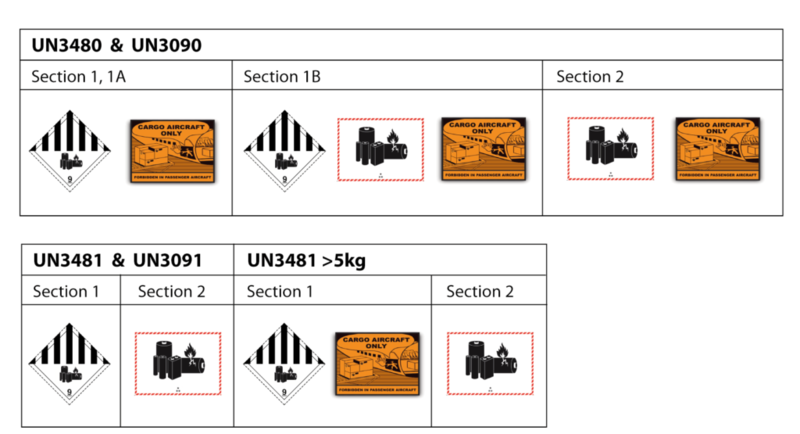 The printed text and images should be black on an orange (Pantone 151c/u) background and the label must be exactly as shown in the IATA Dangerous Goods Regulations. On 1st January 2015, the International Civil Aviation Organization (ICAO) placed a ban on all shipments of lithium batteries by passenger aircraft. Unstable, over-charged batteries were thought to be a contributing factor in fires onboard two passenger aircraft and the ban lead to lithium batteries being limited to cargo aircraft or ground transport. Due to new regulations, from 1st April 2016, air shipments of lithium batteries and cells, shipped by themselves, must now show the Cargo Aircraft Only label. In addition, when transported in dedicated cargo planes, they must also be shipped at a state of charge (SoC) not exceeding 30% of their rated design capacity. While the majority of lithium-ion batteries are transported on cargo ships, about 30% are still delivered by air and a single cargo container can hold thousands of batteries. New labelling requirements for IATA which include the amended handling label and Class 9 label are effective from 1st January 2017. See our Lithium Battery Page for more information on the labelling of Lithium Batteries. The original design of the Cargo label was first published in the 17th edition of the IATA Restricted Articles Regulations, which became effective 1974 and remained unchanged until 1st January 2013, when it was replaced with the present version. 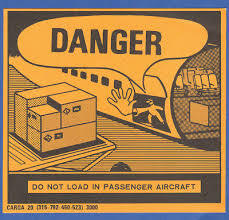 The old Cargo label used to show the word ‘Danger’ in large letters but this was changed following a number of incidents where packages bearing the CAO label were actually loaded onto passenger aircraft. Investigation showed that the label was partly at fault due to the lack of relevant keywords associating it as being for “Cargo Aircraft Only” and so the CAO label was revised to actually display these words and the old label was made obsolete on 1st January 2013. 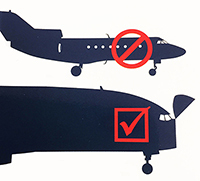 Cargo Aircraft Only labels play an important role when shipping dangerous goods by air; they are a key requirement for any load containing hazardous substances or articles (including radioactive material) that is transported by air but not allowed on passenger carrying aircraft.